Tuesday to Sunday and bank holidays 10am-6pm. Turner Contemporary is a dynamic visual arts organisation that believes in making art open, relevant and fulfilling for all. Inspired by JMW Turner’s sense of enquiry, we offer a space for everyone to embrace their curiosity and to discover different ways of seeing, thinking and learning. We do this by offering a stimulating programme of temporary exhibitions, events and learning opportunities. This programme enables intriguing connections to be made between art from 1750 to the present day. On Saturday 16 April 2011 our landmark new gallery, designed by Stirling Prize Winner David Chipperfield Architects, opened. Admission to the gallery is free. 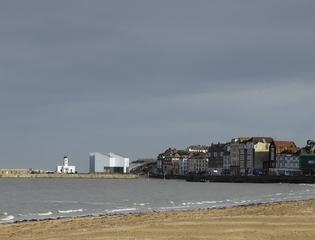 Situated on Margate’s seafront, on the same site where Turner stayed when visiting the town, our gallery is the largest exhibition space in the South East, outside of London.